Jerry looks back on some of his older observations. Every so often I think it wise to review, reread, reevaluate, and revise what I have written in this space to see how it relates to reality. So that’s what I’m going to do a little bit of, and in the process, perhaps I will even find the opportunity to throw in a leftover nugget or two, and hopefully remove a layer of old newspapers and notes from my desk. Of course, I am going to start with the Red Sox and, since Chicago is in town as I write this, the Youkilis “trade”. I give it the quotation mark treatment because it was less of an exchange of players and more of a dumping. Yes, Boston got a pitcher “with potential” and another utility guy, as well as the opportunity to pay him to play somewhere else, but it was clearly a dumping. But despite all that, it still has my support. The way ‘Red Sox Karma’ works, you knew it was a guarantee that he (pictured above homering against the Sox this week) would get hot and come back to haunt his old team, (as well as his replacement, Will Middlebrooks, getting hurt and missing the Yankees series) but it was still something that had to be done. Besides, the problem with the Red Sox has not been offense, it’s been and remains, pitching. That might change with the injury to David Ortiz, but with the successful returns of Ellsbury, Crawford, Middlebrooks and soon Pedoria, they should continue to score runs. So look for a major trade at the deadline involving Jon Lester and Seattle Mariners. Lester maybe happier in his home state, and Felix Hernandez would look good in a Sox uniform. By the way, the Sox recently released Brent Lillibridge, the above mentioned utility guy, and speculation is that he may return to the White Sox. Now wouldn’t that be an interesting turn of events! In case you were wondering about the pitcher with all the potential, Zach Stewart was 1-1, in his first four starts in AAA Pawtucket. He had three decent starts before getting shelled in his most recent appearance. Is it me, or does Zach Stewart have that “player to be named later” feel to him? Anyway, before the season started, I predicted that Cody Ross would be the Red Sox next Adrian Beltre. That one year loaner who would come in, have a great year, earn a big contract, and then go play someplace else. I would have to say that the jury is still out on this one. 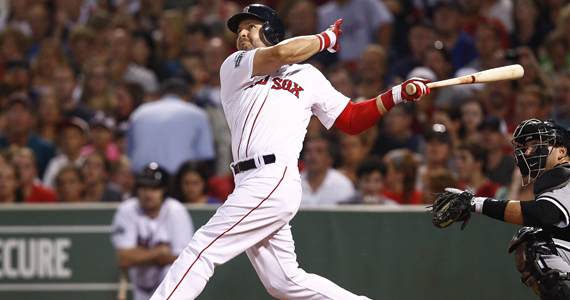 The 31 year old outfielder has had a solid year for the Sox, hitting .262 in 61 games, with 13 homers, and 41 RBI. But Beltre, in 154 games with the Sox, hit .321, with 28 homers and 102 RBI, so Cody is going to have to pick up the pace a bit if he’s going to prove me right. Also, don’t be surprised if he’s back in Boston next year. A few weeks back, I submitted, for your approval, the names of some great athletes from the past who I believe would be as great in their sport if they were playing today. For basketball, the only two players I discussed were the 6’9″ Bill Russell and the 7’1″ Wilt Chamberlain, mostly on the theory that you can’t coach height, and that they could still be effective today. 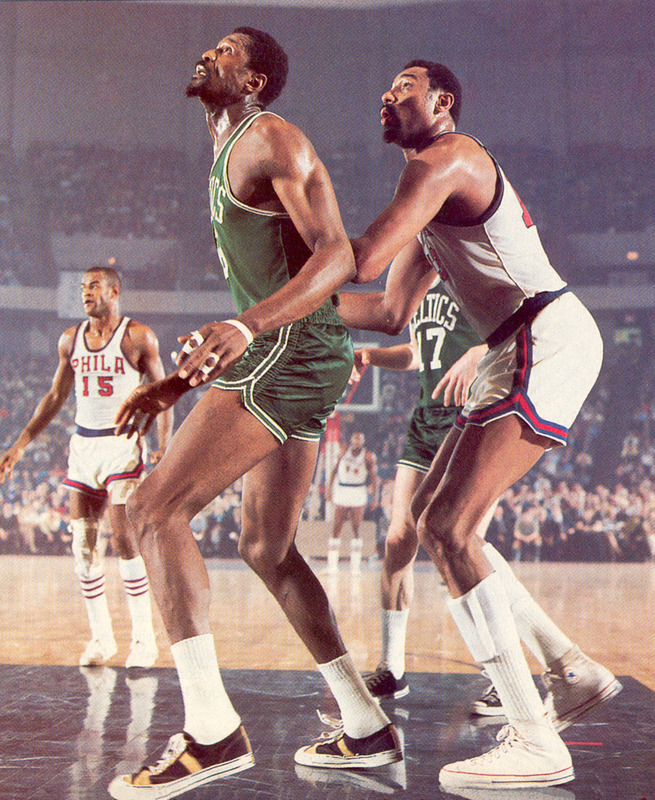 Amongst the stars of the day who I considered, and would now like to submit, are a pair of 6’5″ guards, namely Oscar Robertson and John Havlicek. Robertson (’60-’74), who was co-captain of the USA 1960 Olympic basketball team along with Jerry West, once averaged a triple double for the season! 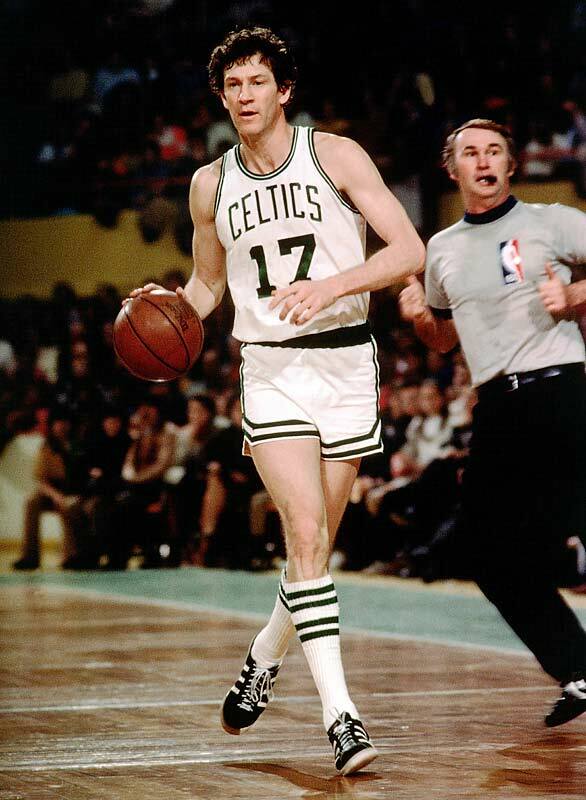 (30.8 points, 12.5 rebounds, and 11.4 assists) Havlicek (’62-’78), was so athletic, that he was actually drafted in two sports. The Cleveland Browns worked out the former Ohio State star at wide receiver, before he decided to take his talents to Boston, win a few championships, and steal the occasional pass. Well, that should do for now. My desk is a bit cleaner, and I have an idea for my next history lesson. Anyone want to revisit the 1960 Olympics? Anyone? Bueller?